Have you heard that our body is mainly composed of 70% water? Although true, the percentage varies from 55% of water in adult women, all the way up to 78% in babies, with the percentage for adult men somewhere in between. This is also true for animals, where some — like the jellyfish — have even 90% of their body composed of water. With this in mind, why don’t animals, including us, look like a soup? How can animals have a defined 3D structure? 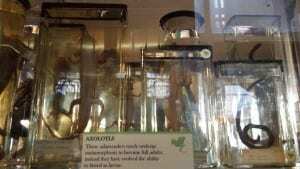 Animals are made out of cells, the building blocks of our organs and tissues. But cells are basically a bag of water and chemicals; so again, why don’t animals look like giant bags of chemicals? 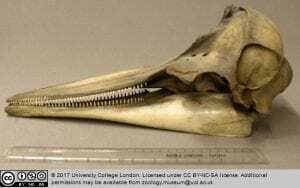 The most obvious reason is that animals have bones that give structure to the rest of the body. But even bones are 31% water, and organs with no bones, such as hearts, still have a unique 3D form. 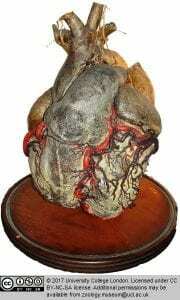 Hearts have defined chambers (see the elephant heart below); they’re not just a mush of cells. The answer lies not in the cells themselves but in what surrounds them. Cells are engulfed by the extracellular matrix (ECM) which is mainly composed of proteins. This matrix encompasses the space in-between cells, gives them structural support and acts like a scaffold. It can also act as a pathway for cells to migrate along and it gives out chemical and physical cues that cells respond to. The ECM varies from organ to organ. 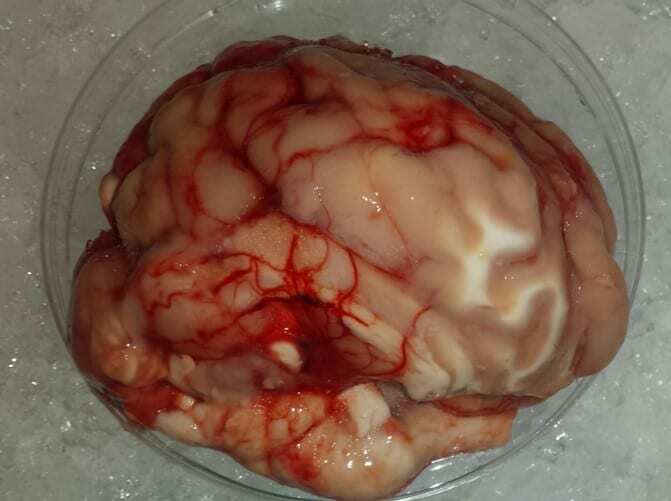 The brain, for example, is mainly composed of cells with an ECM of only 20% of the total mass. In contrast, cartilage has fewer cells and around 70% of its mass is ECM. Every cell type is surrounded by a specific matrix that will affect its function. Studying this extracellular environment is important to understand how cells develop, how they interact with each other, and how they react to disease. 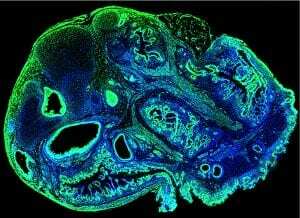 At the same time, by studying the ECM, researchers can get an idea of how an organ or tissue is structured and how to replicate its intricate architecture. Scientists that work in tissue engineering use a technique which consists of washing away the cells of an organ, literally. By using detergents, the cells are washed away in cycles until just the extracellular matrix is left. In this manner, they can analyse its composition and experiment with the matrix with the end goal of growing an organ in the lab. 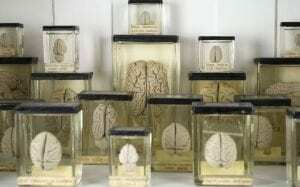 Therefore, one day we could replace diseased or aged organs with new ones without the need for transplantation. 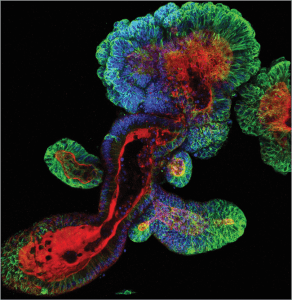 The unique composition of the ECM provides cells with the support they need to survive, and at the same time, gives animals and their organs a defined 3D structure. 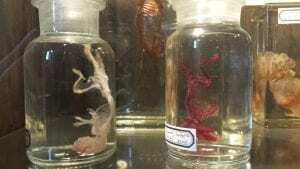 How to visualize the insides of an animal? 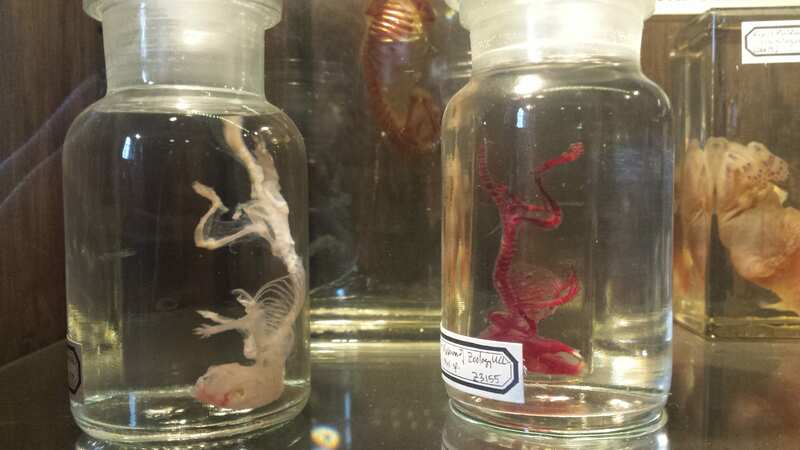 When studying animals, sometimes we need to study them from the inside out —literally. 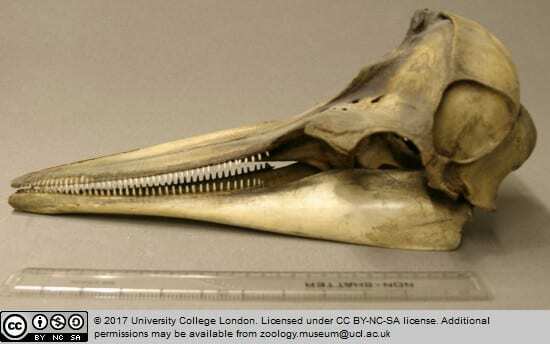 One way to do this is to cut them open and looking at their internal structures, such as with the bisected heads or the microscope slides in the Grant Museum of Zoology. 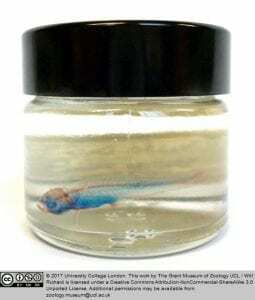 Another way to visualize the inside of an animal is to stain a particular body part while making everything else clear; researchers can do this by using chemicals and colour stains. 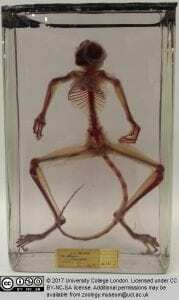 For example, in the Grant Museum of Zoology, we can find specimens like the tarsier, with its skeleton stained in red, or the zebrafish with red and blue parts. 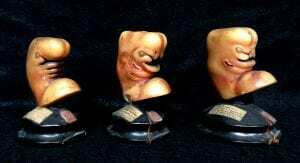 The process of staining these animals begins with the removal of the skin, viscera and fat tissue. 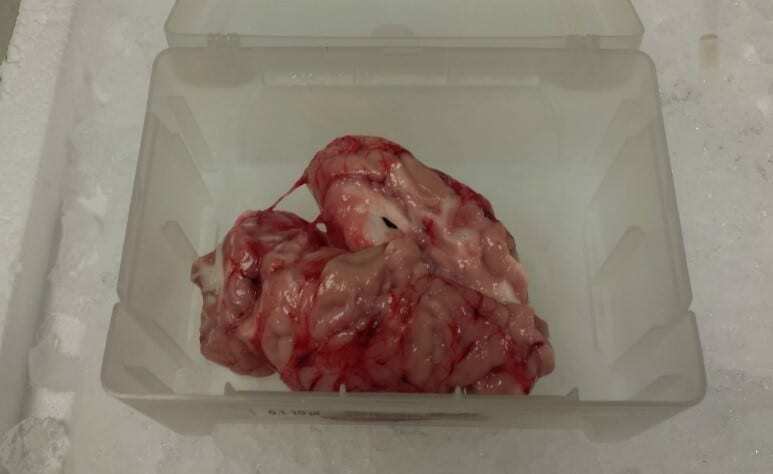 Then, soft tissues like muscle are cleared using a variety of different methods which mostly involve exposing the specimen to different baths of chemicals. Next, the bones are stained with Alizarin Red and the cartilage with Alcian Blue. It’s a long process that can take a couple of days because the stain needs to properly penetrate the tissues, but the results are amazing. Initially, both Alizarin Red and Alcian Blue were used as textile dyes, but now they also have numerous biological applications. Alizarin Red staining is a method to visualize mineralized tissue because it stains calcium and Alcian Blue stains specific structures mainly found in cartilage. 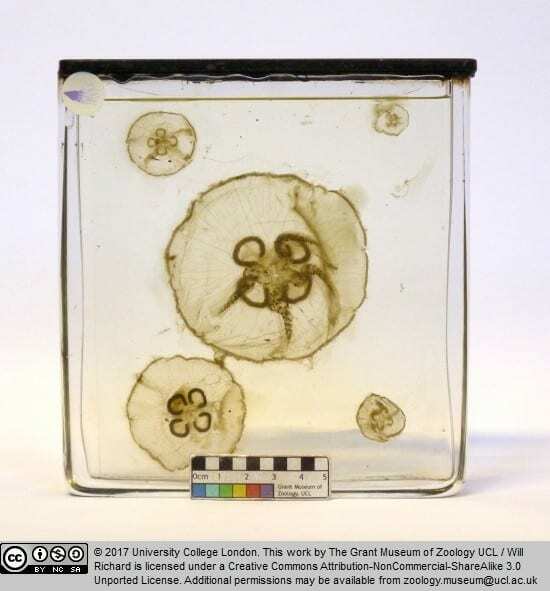 These stains constitute an important part of research because they allow researchers to visualize the intricate structure of tissues and thus understand how they form throughout development. 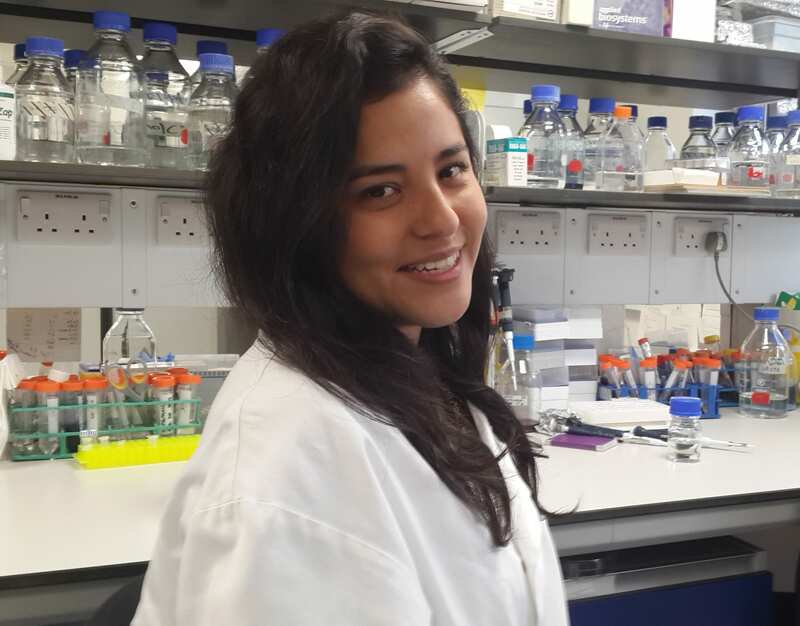 In the lab where I study, researchers work with adipose (fat) derived stem cells which have the capacity to become different kinds of mature cells. These stem cells are grown under specific conditions and by changing these conditions scientists can direct them into becoming mature cells like fat, bone or cartilage — a process called differentiation. But this process can take anywhere from a couple of weeks up to a couple of months! In order to determine if the differentiation is working, researchers stain the stem cells with Alizarin Red and Alcian Blue to identify if they are in fact turning into bone or cartilage. 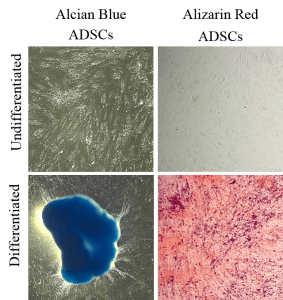 In the images depicted, undifferentiated adipose derived stem cells (ADSCs) on the top appear clear but their differentiated counterparts are stained in blue or red. This means the differentiation is working. There are many other stains used on animals or cells. The process of clearing and staining can be very complicated depending on the specimen and what one wishes to stain, but the results can be quite fascinating. What animal would you like to see stained from the inside. PUCHTLER, H., Meloan, S. N., & TERRY, M. S. (1969). On the history and mechanism of alizarin and alizarin red S stains for calcium. Journal of Histochemistry & Cytochemistry, 17(2), 110-124. McLeod, M. J. (1980). 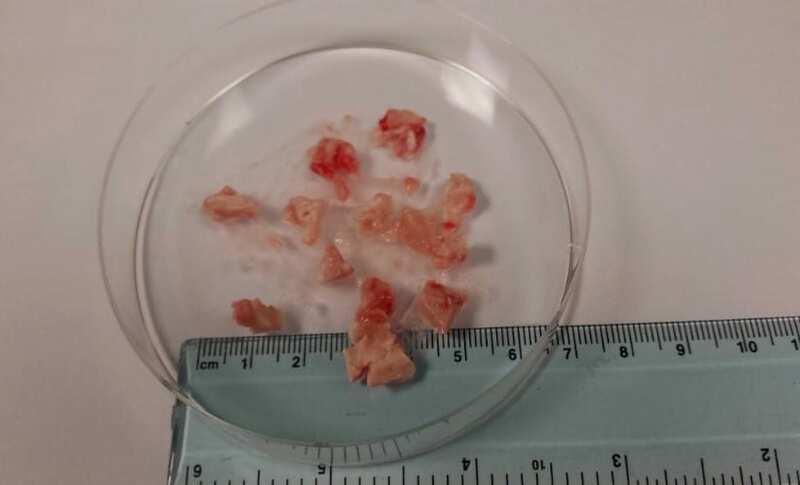 Differential staining of cartilage and bone in whole mouse fetuses by alcian blue and alizarin red S. Teratology, 22(3), 299-301. 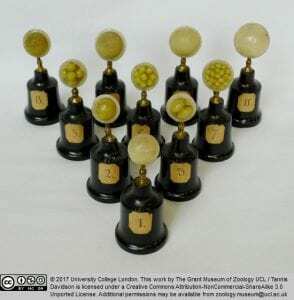 The Grant Museum has a number of embryological wax models on display (Images 1, 2, 4, and 5 amongst others not shown here). 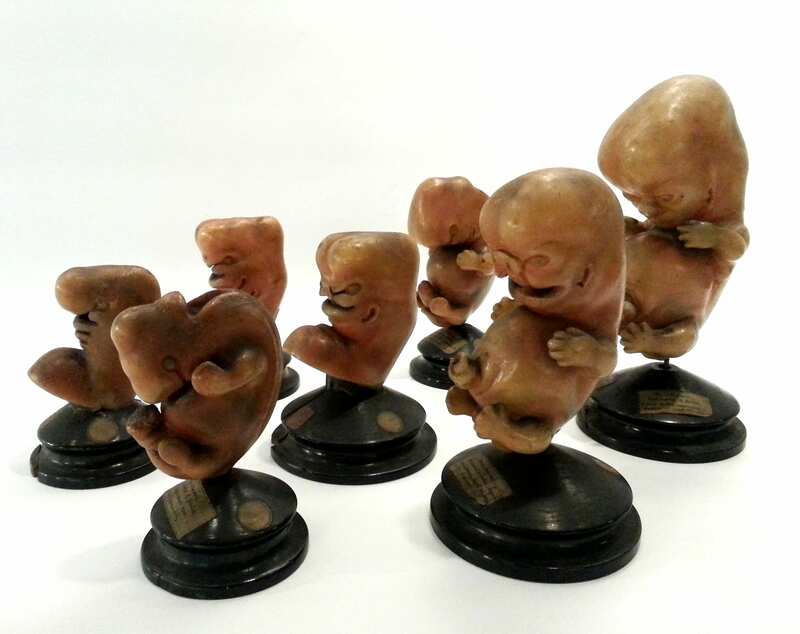 These models, while often ignored by visitors, are actually quite remarkable as they showcase the brilliance and mystery of embryological development. They were created to help elucidate essential questions like: how do humans and other animals form? 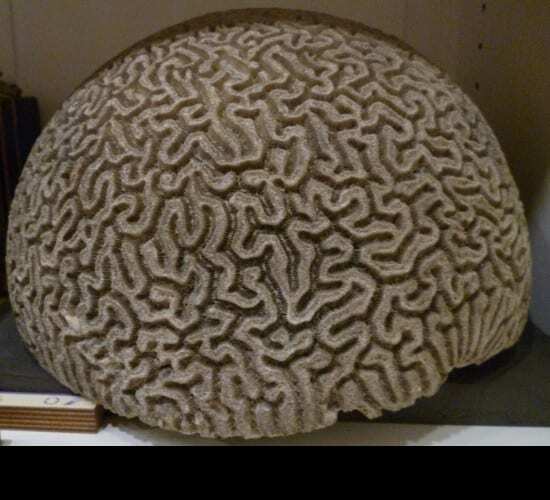 How are a bunch of seemingly insignificant cells, with no shape other than a ball, able to grow so much and in such detail to form intricate patterns like our eyes? How can one cell transform itself into such different tissues, from hard rock bone to the jelly like liver? In order to understand how a human body is formed it is vital to study the very first stages of its creation, i.e. when we are just a bunch of cells. The very first cells that are formed after fertilization are called stem cells and they start with an unlimited capacity to form any type of cells. With time, they start to differentiate and mature into specialized cells with a limited lifetime. In this process, little by little they lose their unlimited capacity until they can only form cells that are similar in lineage. In this manner, totipotent stem cells can form any body part including extraembryonic tissue like the placenta. On the next level, pluripotent stem cells (embryonic stem cells for example) are capable of forming any body part but have lost the capacity to form extraembryonic tissue. 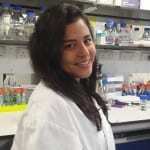 And finally, multipotent stem cells, much more restricted, can only form cells from a specific tissue or organ. 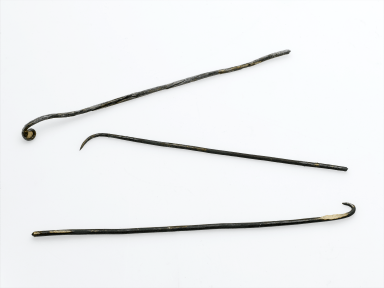 This may appear as a straightforward process, but the development of an animal is a deeply specific, delicate, and sophisticated interplay of signals and coordinated transitions. Think of it as an orchestrated dance of on and off switches leading to specialisation and exponential growth. In fact, it is so complex that we still don’t understand it entirely. Although not all human, the wax models display the first stages of development of vertebrates and closely related animals. First, one cell divides symmetrically into two, then four, then eight and so on (Image 1 and front models of Image 2). Afterwards, cells start organizing themselves answering to chemical and physical signals and different patterns start to appear (Image 2 models in the back). Eventually, an axis emerges on which cells migrate along which will give rise to the head on one side and the body and limbs on the other (Image 4). 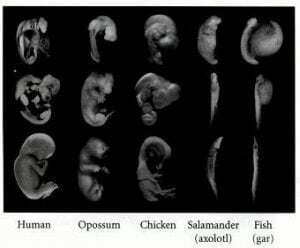 Slowly but surely, we all go from looking like little worms to fully grown animals (Image 3). 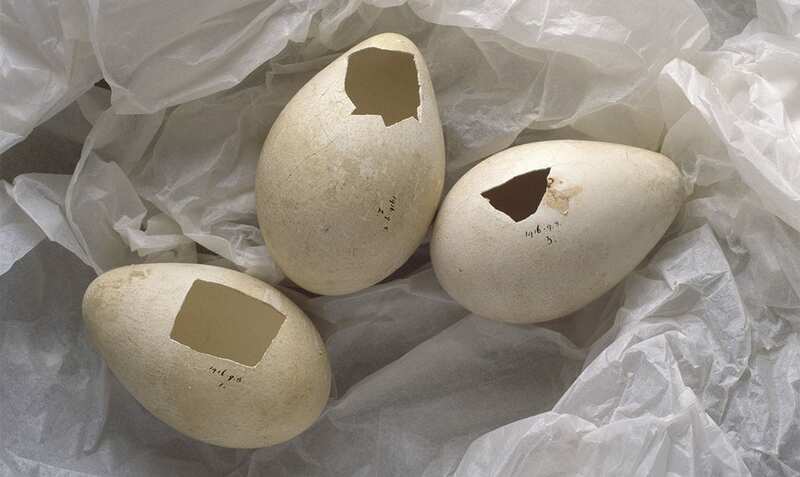 It is important to note that in this initial period most embryos have a very similar appearance, at least between vertebrates. These similarities tell us that a lot of the genes that govern this initial growth haven’t changed between species over time. It’s like nature is saying, “well, if it ain’t broke don’t fix it” and so these mechanisms have been conserved in different animals. These early stages are crucial moments because if one little element of the spatial/temporal organization is out of place, improper organization can lead to lifelong malformations, diseases, or even the termination of the embryo. Hence the importance of understanding how this process works. We know that even in adult life, there are still stem cells proliferating and forming new tissue to a certain degree. Some organs, like the skin, have a lot of stem cells to replace old cells when they die or get injured. 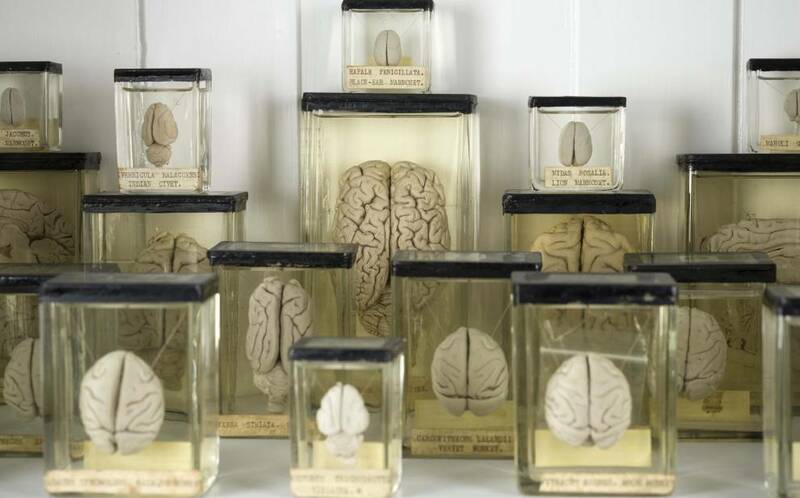 But other organs like the brain, have a very limited capacity to grow new cells—one of the reasons why a brain is much more difficult to fix. So can we get back all the limitless capacity there once was in the developing embryo? 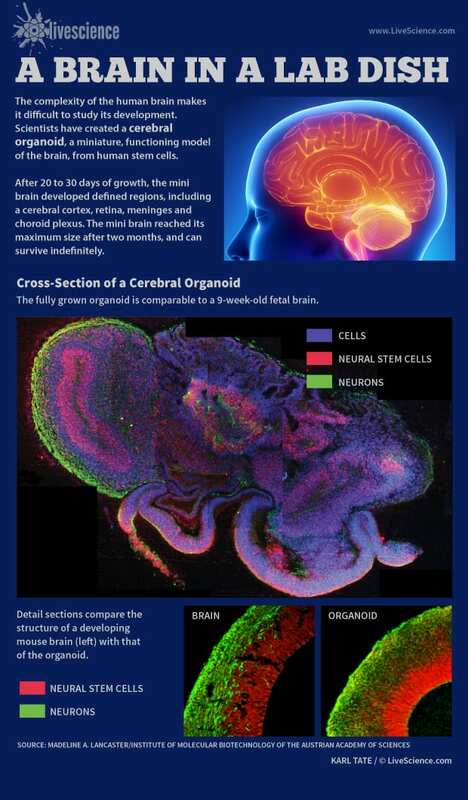 Even though the genetic and molecular mechanisms governing all these changes are still somewhat elusive, researchers are using stem cells and powerful genetic tools to answer this question and decipher every single step of how a human is formed in the womb. Moreover, if we can understand the process, then we can recreate and modify it in the lab, and this is exactly what the field of stem cells and regenerative medicine is trying to do. Imagine having the capacity to grow new organs to be used for transplantation or drug testing. How about growing a brand new functioning leg or arm for amputees? Or studying the mechanisms of diseases like Parkinson’s, leukaemia, diabetes, amongst others. The benefits of harnessing the regenerative potential of cells are far-reaching. Image 5. Development of the external form of the human face (LDUCZ-Z480). The exciting field of stem cells and regenerative medicine has come a long way, more than a century has passed from the first time the term stem cells was used in 1906 up until the creation of genetically modified human embryos in 2017. 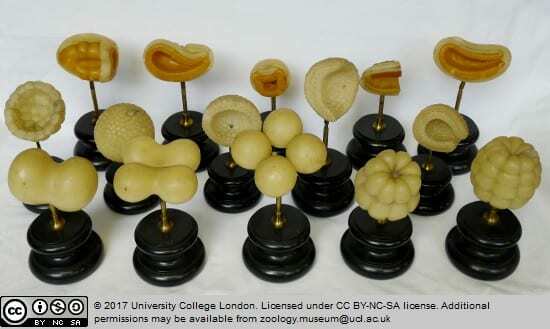 The embryological wax models represent initial efforts of identifying how changes give rise to specific structures and ultimately how an animal comes into existence. 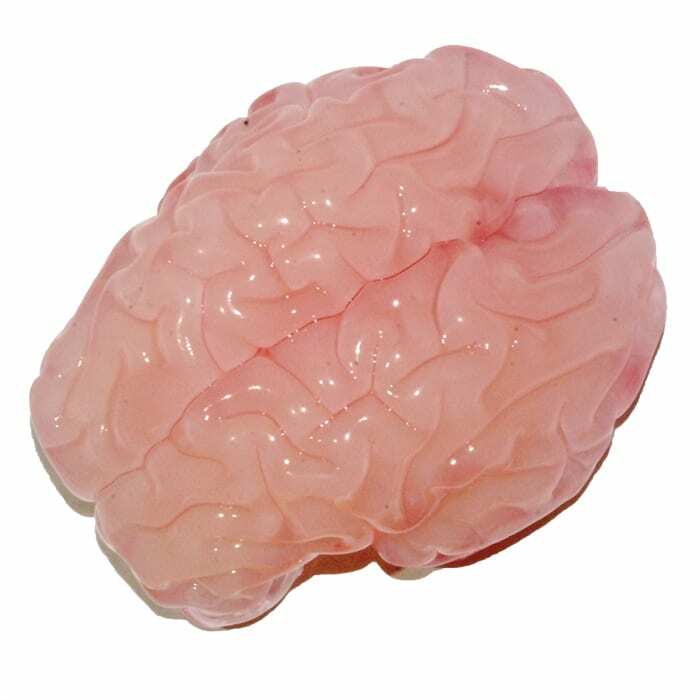 Furthermore, the future still holds exciting breakthroughs, there is still a lot to understand about human development and the wax models are a fantastic resource to portray the morphogenetic changes we all once went through.